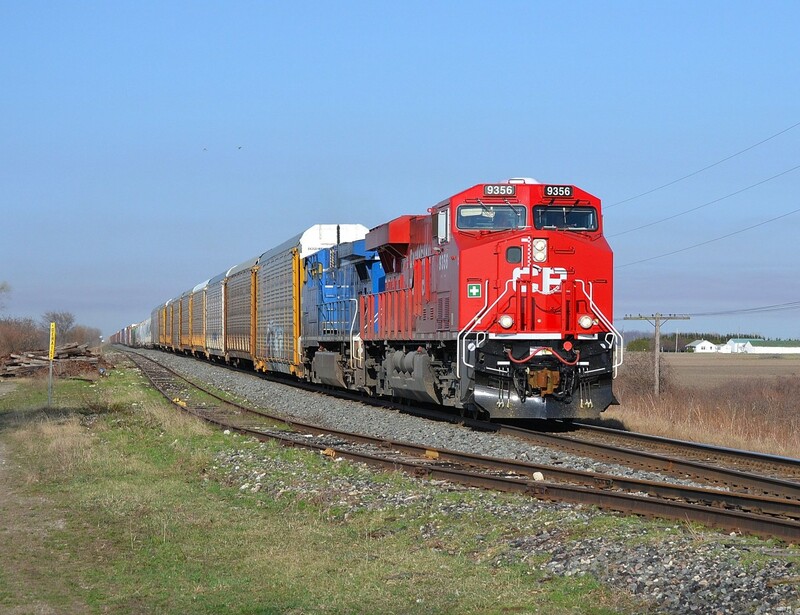 Railpictures.ca - Jay Butler Photo: CP 2-241 led by new 9356 & CEFX 1007 hauls this long mixed freight train westbound past the west setoff siding switch at Jeannette. mp 76 | Railpictures.ca – Canadian Railway Photography – photographie ferroviaire Canadienne. Copyright Notice: This image ©Jay Butler all rights reserved.